Get a customizable website, event galleries, and detailed analytics. Get your own homepage showcasing all of your events. Customize with your logo and a link to your website to help build your SEO. Capture an unlimited amount of events and photos with no limits. Your photos and sharing statistics automatically get updated from dslrBooth Photo Booth Software for Windows and Mac and LumaBooth for iPad. Add your logo to every event page to get additional exposure for your brand. Add an event logo to brand your event page and link to the event sponsor's website. Choose a background color or background image to match your event or event sponsor's branding. See analytics for each event such as page views, unique users, social referrers and much more. Add your own GA tracker for even more insights such as audience, acquisition sources, and behavior. 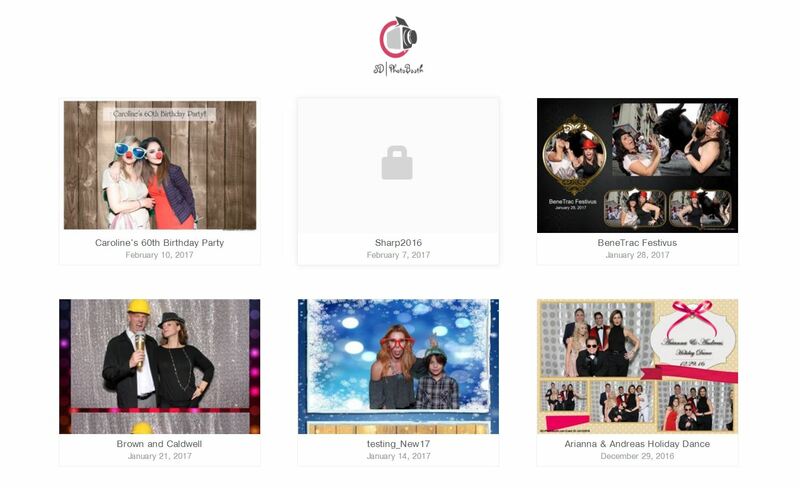 Get a list of all the shares from dslrBooth, LumaBooth, and fotoshare for iPad for your event including e-mails, telephone numbers, facebook, and twitter logins. For private events, secure event pages with a password. 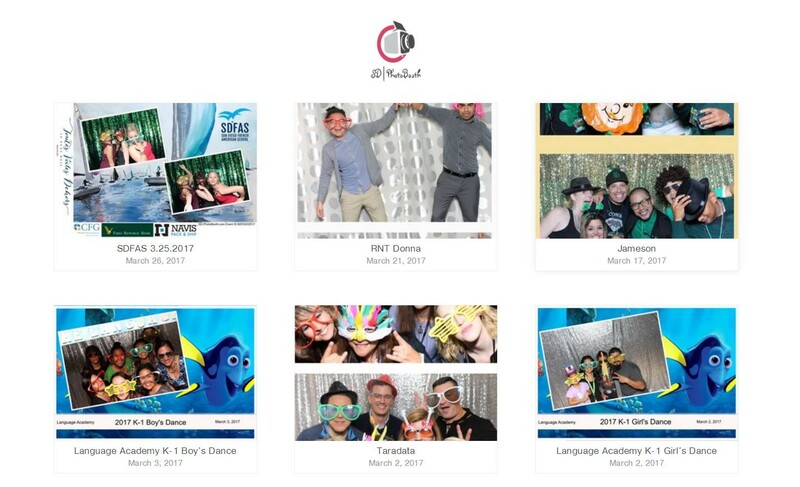 Choose a cover photo for your event from your event's photos. Cover photo is shown as event's thumbnail image on your homepage. Embed any event gallery seamlessly on your website. Get a custom subdomain for your events and photos such as: yourcompany.fotoshare.co for a more professional look. Add a link to your event pages to your site for increased branding and SEO. Get the same great service and support you're used to from dslrBooth. Affordable plans with no long term contract. Copyright © 2014 dslrBooth. All rights reserved.